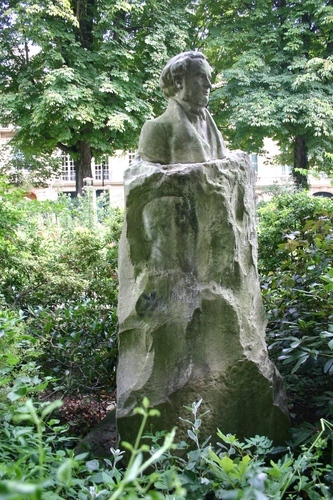 This unusual marble monument to the memory of Horace Wells and Paul Bert can be seen inside the garden of Place des Etats-Unis in Paris. 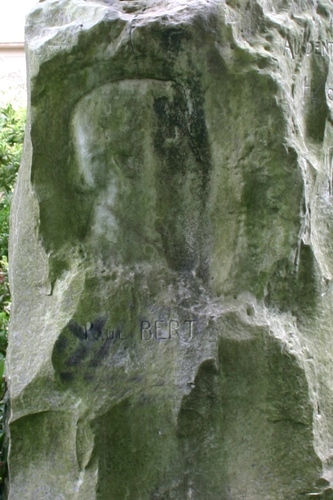 In fact, on one side of the pedestal that supports the bust of Wells, the profile and the name of Bert can barely be noticed. 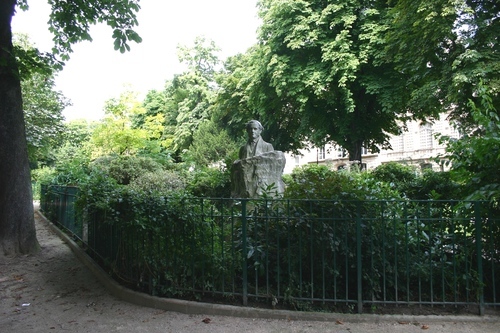 Being Wells one of the inventors and Bert a major improver of anesthetic techniques, the double monument by Bertrand Boutec was inaugurated on March 27, 1910, in front of a selected audience. 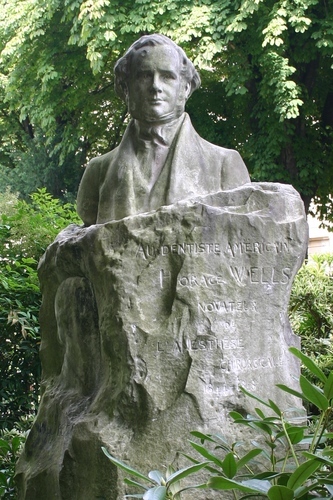 During the Second World War German occupation of Paris, the bust of Wells was hidden in a kiosk of the garden by a guardian who aimed to prevent the probable destruction of such an enemy's monument. On December 10, 1944, a second inauguration took place in the presence of some U.S. military health authorities, when the bust was placed back on its pedestal, so that the American and the French scientist were reunited. 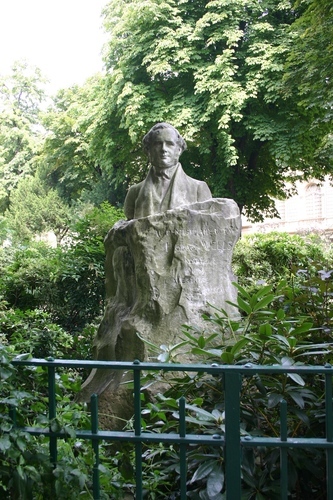 It was exactly the centennial of the soiree when Horace Wells had, for the first time, the idea of the possible use of nitrous oxide as an anesthetic during dental extractions.